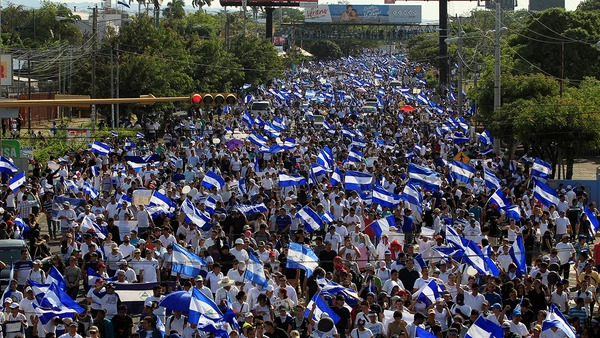 In Nicaragua and Armenia today, people are rising up against tyranny and demanding human rights and democratic rights. In both cases, “people power” suddenly appeared. The streets were filled with demonstrators. We are reminded of the “Arab Spring,” which erupted when a police officer slapped Mohamed Bouazizi and knocked over his wheelbarrow full of produce to sell. His self-immolation led to protests that quickly spread and brought down the dictator Zine el Abedine Ben Ali after 24 years in power. The protests soon spread to Egypt, where they quickly brought down Hosni Mubarak after 30 years in power. There were protests in Libya, Yemen, Syria, and Bahrain as well. Who predicted these outbursts? No one; experts assumed the real story was “authoritarian longevity” and the stability of the regimes. And no one predicted the protests in Armenia and Nicaragua. But all these uprisings are a reminder that the taste for liberty is present even in many cases where it is nearly invisible. It would have been reasonable to believe, one month before each of these protests began, that the populace in each case was resigned to its fate and uninterested in democracy. Instead, we can see that many citizens were ready to struggle for more freedom. That is important information for the United States as it considers whether to continue, strengthen, or abandon its policy of supporting the expansion of democracy. Realpolitik is often said to counsel dealing with regimes as they are, but these uprisings remind us that regimes are temporary; populations are permanent. Why side with a regime that the people despise, and will eventually remove? Why assume that a dictator speaks for his people, or will speak for them tomorrow? Why treat the dictators in Tehran, for example, as “Iran” when they are not at all the repository of the hopes—nor will they be the permanent rulers—of the people of Iran? All those despotic regimes lack public support and lack legitimacy, which is why they never hold free elections. Experts have rarely in fact predicted the sorts of uprisings noted here, but the point is not to criticize them for lack of omniscience. It is rather to emphasize that as President George W. Bush put it, “No people on Earth yearn to be oppressed, or aspire to servitude, or eagerly await the midnight knock of the secret police.” Of course protests movements can fail to bring freedom; the regime may survive or a new regime may be as bad as or worse than the one it replaces. But Armenia and Nicaragua remind us that the desire for freedom, and the resistance to tyranny, are never crushed. They remind us whose side we should be on.